From the very start, when it was just a bit of fun for staff and punters at The Local Taphouse in St Kilda, the Hottest 100 Aussie Craft Beers poll has been a popularity vote. And, now in its eleventh year, the importance of using your popularity and getting your army of fans on the move has arguably never been more important. 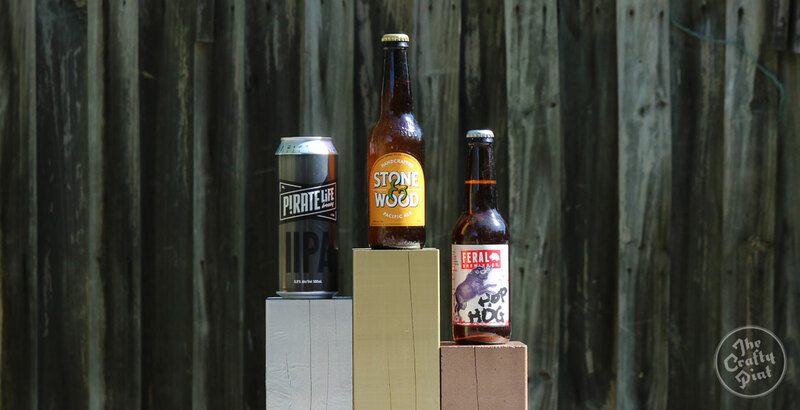 While beers with strong national distribution are likely to be at an advantage, we’ve seen the likes of One Mile Brewery in Darwin, The Welder’s Dog in Armidale, Your Mates and 10 Toes on the Sunshine Coast and Jetty Road in Dromana burst into the top 100 for the first time with multiple beers – and none would claim strong national distribution. Instead, their success appears to be evidence that you can hit the hundred by motivating your fanbase. Take One Mile, who didn’t just ask their followers to help them put the Northern Territory on the Australian beer map; the NT News also backed the brewery with that article subsequently shared by the brewery along with a suggestion as to the order in which fans should rank their beers. (As an aside, the four beers they scored in the top 100 didn't appear in the suggested order.) Or BentSpoke who, as part of their campaign, put stickers on four-packs asking fans to vote for them in the poll. If you've picked up some BentSpoke beer in recent weeks, you may have come across this little reminder. Some breweries also directed voters towards single beers. Dainton’s highest scoring beer in 2017, the Blood Orange Rye NEIPA, climbed from from 85 last year to 36 this year, with the brewery focusing its social media posts and videos on it. If you landed on Bridge Road’s website during the period of voting, the first thing you’d have seen was a large banner pushing Beechworth Pale Ale. While there are beer fans who will bemoan the fact successful campaigning has become such a key part of the annual poll, it’s also a reflection of the wider craft beer industry. The importance of branding, social media, fan engagement and so on has risen as the marketplace has become ever busier; with so many breweries making great beers now, you need much more to stand out from the crowd. So, if people are taking that approach year round, why wouldn’t they do so for the Hottest 100 when they know it creates so much noise and can, potentially, lead to a spike in sales – or at least greater awareness of your brewery? “Breweries can't just rely on brewing good beer any more,” says poll founder Steve Jeffares. “They also have to be willing to engage with beer drinkers – their own and others – more than ever before. 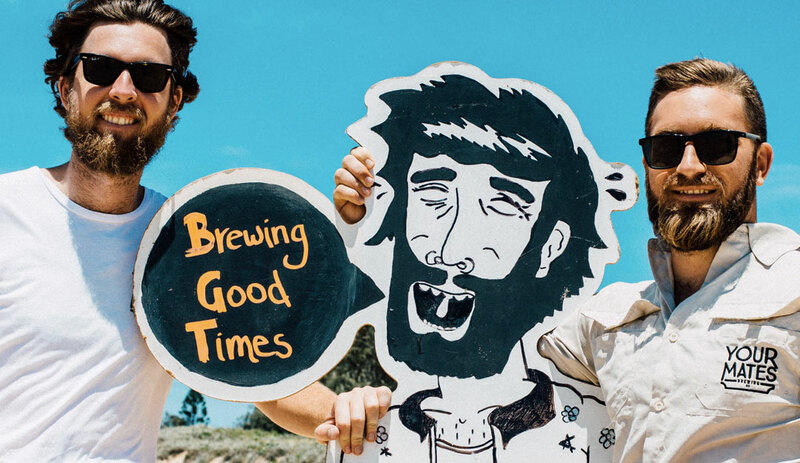 “Outside of the GABS Hottest 100, most breweries are hoping that good marketing and clever promotion throughout the year – at whatever scale – will bring their brewery's beers more attention and increase sales. It's not much different at GABS Hottest 100 time. “While some smaller regional breweries clearly do exceptionally well, having a large following and/or distribution obviously helps too. While Balter's XPA is a brilliant beer and deserved number one, it doesn't hurt that the brewery is owned by world-class surfers with large social media followings. The top three in 2016; two years on, Pirate Life IIPA sits at 79 and triple-winner Feral Hop Hog at 53. This time last year, with 4 Pines, Pirate Life and Feral having been acquired by CUB/AB InBev and Coca-Cola Amatil (CCA) respectively in the second half of 2017, we reflected that it was likely too soon to infer whether or not voters cared for such things. 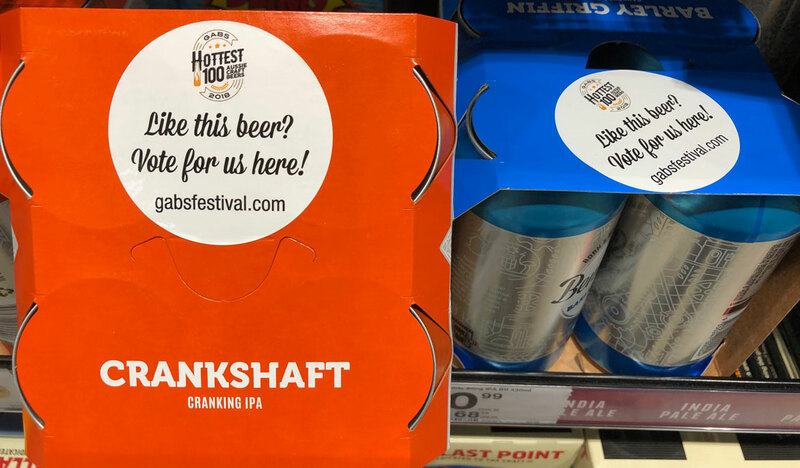 A year on, with no beer from that trio making it into the Top 20 – and Asahi acquisition Mountain Goat dropping out of the 100 entirely – it’s safe to say that, for beer lovers motivated enough to vote in the Hottest 100 at least, independence matters. As seen in our infographic, there have been some big falls from the former indie brewers, highlighted by the beers that came second and third just two years ago, Pirate Life IIPA and Feral Hop Hog, landing at 79 and 53 respectively. In total, the number of beers owned by CUB/AB InBev, Lion/Kirin, CCA and Asahi dropped from 28 in 2017 to just 14. Alexis Roitman, CEO of the Independent Brewers Association, says she’s excited to see the diversity of breweries on the list. That said, Alexis doesn’t want to place too much connection between the launch of the IBA’s independence seal and the Hottest 100 results, saying it’s still early days for the campaign. Your Mates, who opened their impressive new brewery venue at the end of 2018, were one of three Sunshine Coast breweries to debut in 2018. Last year, the Gold Coast was craft beer’s breakout region in the Hottest 100 and, indeed, major beer competitions. In 2018, it has remained a potent force, but has been joined by other previously under-represented areas coming to prominence too. Head north of Brisbane and, where there was just one brewery five years ago, the Sunshine Coast now has around a dozen, of which three – Your Mates, 10 Toes and Brouhaha – made their H100 debuts this year. Further north again and the twin venue operation Hemingway’s earned Far North Queensland its first guernsey. With 22 beers in in the Hottest 100 coming from Queensland – up from 15 last year – we can’t really talk about Queensland’s beer scene as being on the rise anymore; it has well and truly risen. Likewise, thanks to its twin powerhouses, BentSpoke and Capital (who even issued a joint media release celebrating their combined eleven beers in the top 100), Canberra has climbed from zero beers in 2014 to punch well above its weight. Add in the success of One Mile Brewery in Darwin – the first year they’ve entered the poll – and the steadily growing NT beer scene has its first H100 brewery too. 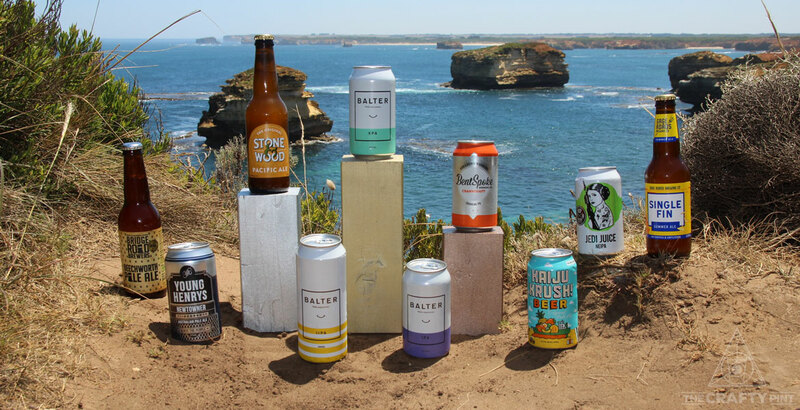 Such changes have seen the number of beers from Western Australian and Victorian brewers fall away – arguably brewers there face a lot more competition for votes than in some parts of the country. One place that remains on the outside of the Hottest 100 is Tasmania. It’s home to more than 20 breweries, few of whom distribute to the mainland, and, with only half a million people living there, it would appear the maths is against them. The beer that first appeared in the poll in 2009 as Draught Ale and which has now spent nine straight years in the top three. Over the eleven years of the poll, only eleven beers have featured in the top three. Who knows how Balter XPA and BentSpoke Crankshaft will continue after going back to back in one and three respectively, but you only have to glance back over time to understand the challenges involved in staying at the top – in staying relevant to drinkers. Sure, ownership appears to have played a role in the fall of Little Creatures Pale (six years in the top three), Feral Hop Hog (six years in the top three with three of those in first) and Pirate Life IIPA (two years on the podium, down to 79 in 2018) but, however you look at it, the longevity of Stone & Wood’s Pacific Ale is impressive. Sure, as co-owner Jamie Cook suggested after the results came in, when you sell the volume and have the social media reach they do, you’re at an advantage. But nine straight years at the top isn’t to be sniffed at. Similarly, Bridge Road deserves a nod for the way Beechworth Pale Ale has remained at the forefront of many voters’ minds, hitting fifth this year, as does Thirsty Crow’s cult classic Vanilla Milk Stout, which clocked up yet another appearance in the 2018 top 100. 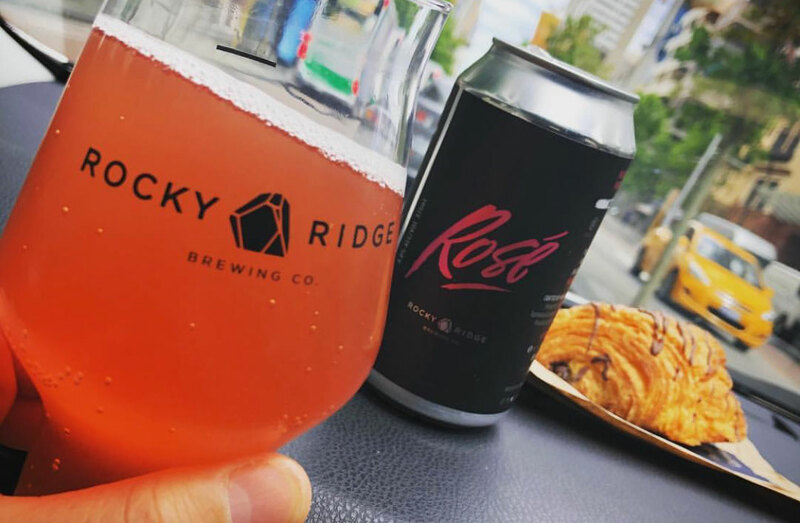 Rocky Ridge has captured the hearts of WA beer lovers but is one of many notable breweries not in the top 100 for 2018. Conversely, looking at this year’s countdown another way, such staying power looks even more impressive when you consider some of those who aren’t in the top 100. When so many breweries are appearing for the first time, some will have to miss out and there will be plenty surprised to find nothing from the likes of Hawkers, Two Birds, Newstead, Boatrocker, Wildflower, White Rabbit, Ballistic, Mismatch, La Sirène or some of WA’s most talked about breweries – Rocky Ridge and Beerfarm, for example – in the upper reaches. Many can be found in the 101 to 200 list and some barely – if at all – play the game of trying to rally their troops, but their absence does show how much tougher it can be to make the upper echelons, even for breweries with trophy-winning beers, a taproom and widespread distribution. 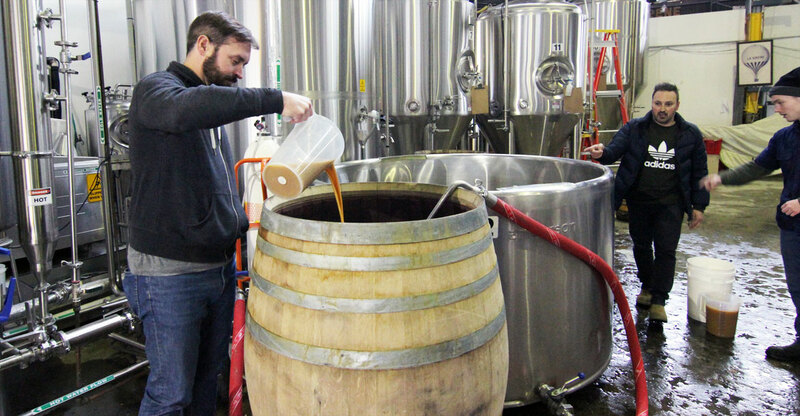 The beers created by Jester King and La Sirène will likely cause a stir when released this year, but neither farmhouse ale or barrel-aged beers featured in the 2018 Hottest 100. In a country where the biggest selling beers in the craft sector are pale and hop forward, we shouldn’t be surprised to see such beers dominate a public vote. With the 31,000 voters likely to be of the craftier sorts, recent years have seen such beers nudge more into IPA territory – add the IPAs, NEIPAs and double IPAs in the 2018 top 100 together and they make up more than a third of the total – yet they’re still typically pale and hop forward. Over time, the growth of the poll appears to have rounded out its edges. Sure, there’s still a few sours in there and an appearance for a farmhouse ginger beer, but there’s nothing barrel-aged, no imperial stouts, no saisons or other farmhouse ales (the ginger beer excepted), nothing English-inspired, no hybrids and so on, despite many such beers often driving discussion and sparking excitement in the craft beer community. As such, in an industry with an ever-diversifying range of styles on offer, the Hottest 100 can feel a little out of step. But, as we’ve said in the past, if you’re on a mission to find the best beers then the poll is best taken in conjunction with other lists, awards and resources (and, of course, your own palate). The Australian International Beer Awards, The Indies and many state-based beer competitions see brewers submit their wares for judging by panels of their peers; we do a similar thing with our Getting Blind With Crafty Tastings. Then there’s the likes of Untappd and Ratebeer, where the top-rated beers are often of the sort that rarely make the GABS H100 lists – imperial stouts, massive IPAs and barrel-aged beasts. If you’re after the best of the new, that’s what we focus on with our mid- and end of year Best Of roundups. None of the above make as much noise around Australian craft beer as the Hottest 100, however, and, whether you like the outcome or not, that can only be a good thing. You can find the rest of our GAB Hottest 100 Aussie Craft Beers Of 2018 coverage here. And you can access the H100 Indie Beers here and beers 101 to 200 here, where you'll find more of the breweries and lesser-seen styles mentioned above.